Get your extra Halloween treats! Fight three bosses for up to six extra rewards! It’s time to don your best costume has the Halloween parties are in full swing, and very much so at online casino. Play on your favorite slots until Sunday midnight to progress through Halloween Island with three regions which contain three Bosses. For each region you conquer, you will earn extra Bonus Spins on on Halloween themed slot games. Start spinning! Get your best Halloween costume ready as Casino Heroes has prepared a special treat. They just opened Halloween Island which players can explore on a 3-day long journey to complete three regions and face three might bosses for six extra rewards on three selected slots. 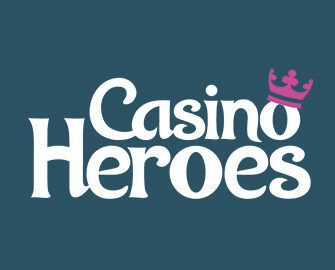 To progress on the journey, they have to wager with minimum €0.20 bets on any video slot. Halloween Island can be completed only once during the promotional period. Each collected item will be available in the player’s treasure chest to claim for 30 days and will expire unless claimed and used within this period. All Bonus Spins awarded as part of the Halloween Island adventure will be available on Halloween themed slot games. 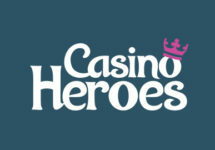 Wagering requirement for the Bonus Spins is 40x FS winnings within five days, subject to the Casino Heroes bonus terms and conditions.